Join us for a Murder Mystery and Magic Show! 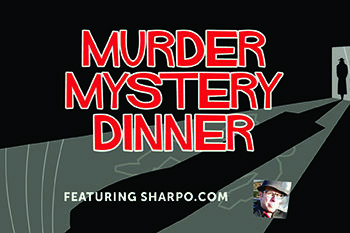 Enjoy an interactive evening of suspense and a 3-Course Dinner. A show for all ages featuring Sharpo!